Everyone has been told that having a budget is important and as simple as creating a budget is many people don’t know where to start. 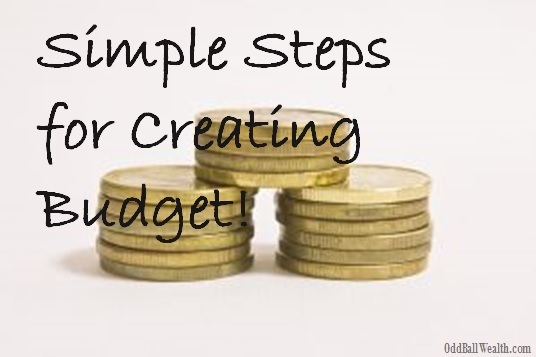 Here we will go over a few simple guidelines for creating a budget that will help you control your financial spending. Budgets are a simple way to track your spending and necessary for reaching financial goals. 1. Make a list and track where you’re spending money now. 2. After you’ve figured out where you’re spending your money, set long-term financial goals you want to achieve and set guidelines for achieving those financial goals. 3. Track your spending and be sure your spending behavior aligns with your financial goals. You can use budgeting software to save time and energy. Budgeting software has tools that will create a budget for you. Don’t over stress on your budget and keep it simple. Just look at where you’re spending your money now and cut spending on unnecessary items. Like one of my old accounting professors always use to say, “Keep it simple stupid” (K.I.S.S.). Keep receipts and record your spending patterns. If you spend more when you have cash on you, consider keeping less cash on hand and carry a debit card. If you’re not use to saving money, putting away 10% of your income into savings might seem like a lot at first. Once you get into the habit of saving 10% and have adjusted you’re spending it’ll feel rewarding. When creating your budget, do not include “could be income” such as tax returns, bonuses, and possible investment gains. They’ll throw-off your budget if you don’t end up receiving them.